Features a wide range of Ranch Style Modular Home floor plans and Two Story Modular Home floor plans designed as “End Elevation” plans to take advantage of stunning views of nature from the “front” and “back” sides of the home while maintaining a narrow foot print as is often required along the shorelines. The Pennwest Coastal Home Collection is highly customizable in terms of both size and shape. All of these homes can be made larger or smaller in both length and width. Ranch Style Modular Home Plans ranging from 500 - 2,000 square feet and Two Story Modular Home Plans ranging from 1,000 to 3,000 square feet. The Linden is a very special Ranch Style Modular Home floor plan. This home has stood the test of time and is among the longest standing “End Elevation” plan designs across both coastal communities and traditional rural inland settings. 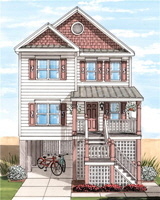 The Linden is a plan within a series of homes known as the Commodore Pinecrest Series. This home is currently on display at our display center. The Linden is a 3 Bedroom - 2 Bath Ranch Style Modular Home with a Large Kitchen and Living Room. The dimension of the home on display is 26’-8” X 64’. This home is available in larger sizes. Please note some of the window locations may need to be adjusted from our display home for some geographic regions. A Collection of some of the best selling standard and custom plans to date. 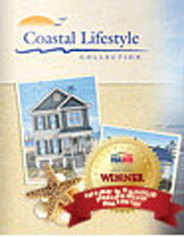 The Pennwest Custom Costal Shore Collection features a mix of both “End Elevation” floor plans and “Traditional Elevation” floor plans meeting the needs of a wide variety of situations. 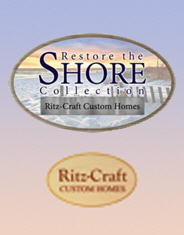 These Coastal Shore Modular Homes work well both along the beach front, along the Inner Coastal Waterways, Bays, and even along Lake Front properties. 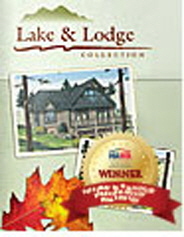 Lake and Lodge Homes are a fixture in the Mid-Atlantic region. Combining timeless exterior style with award wining interior floor plan layouts. These modular home plans look spectacular and function well in both mountain regions and coastal regions. While the settings are quite different they share similar functions and require incredible eye appeal in an eco-friendly footprint. As with our other collections the Lake And Lodge Collection is highly customizable and can be designed to suit your particular needs.